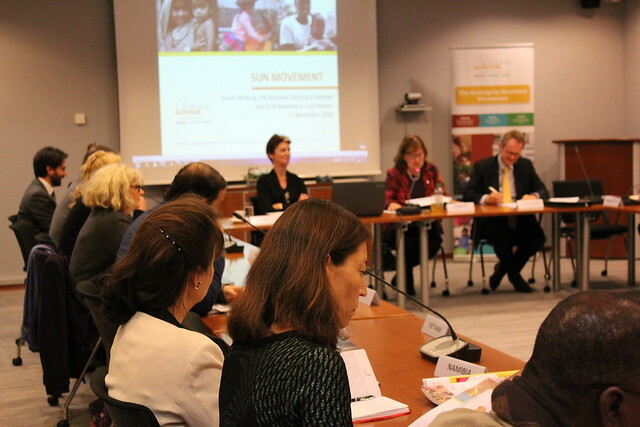 On 22 November 2016, a briefing on the 2016 SUN Movement Annual Progress Report was held with Permanent Missions in Geneva. 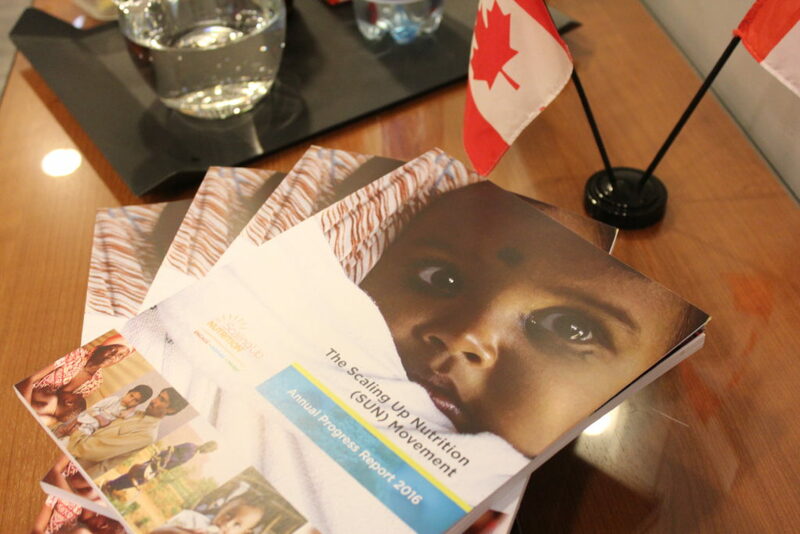 The pre-launch event of the report gave the opportunity for SUN Movement Coordinator, Gerda Verburg, to share progress made towards eradicating malnutrition across 57 SUN Countries over the past year. As a co-host, the event took place at the Canadian Mission with the support of the Mission of the Netherlands. Ambassadors Rosemary McCarney and Reinout Vos welcomed guests and shared their support of the Movement and their commitment to ending malnutrition. Guests included Ambassador Hamamoto of the United States and Ambassador Adjoumani of Côte d’Ivoire.